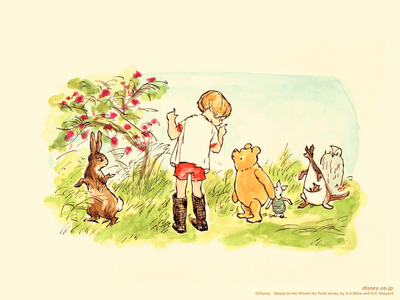 When my brother was a little kid we would watch Winnie the Pooh movies all the time, because they were his favorite. They quickly grew on me too. I think the characters are so cute, cuddly, and lovable. 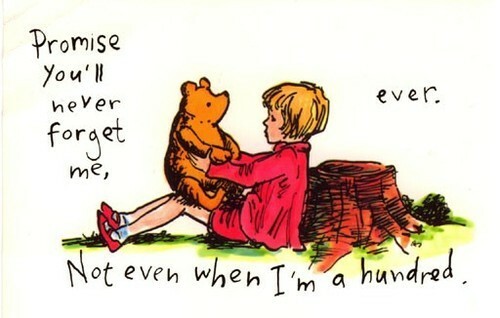 Some of the cutest quotes come from these books and movies. They always teach such great lessons on things like friendship, honesty, and kindness that all kids need to learn. I think this goes to show how friends need to take care of each other even when one of them isn't feeling like themself. You can't stay with the people you care about all the time, so when you aren't together you have remember the good times. It is the little things that we do for others that they appreciate. I think this is so cute. 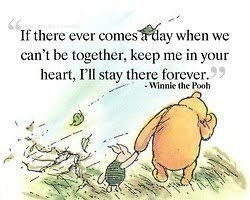 Pooh is one of my favorite characters! 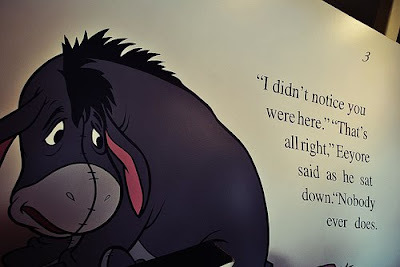 Eeyore is also one of my favorite characters in the Winnie the Pooh stories and movies. In a previous post I said that one of my favorite things in my room was my stuffed Heffalump! They are so cute and adorable. This movie was so cute. 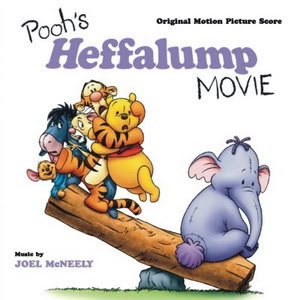 Heffalumps like Lumpy are my all time favorite character in the Winnie the Pooh series. I was a tigger kind of girl! 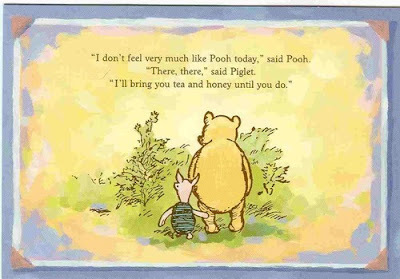 :) And piglet... oh, sweet little piglet! I mentioned your super sweet blog on today's post, so be sure to stop by and check it out! 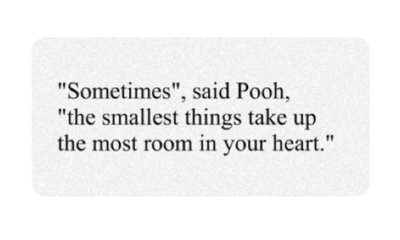 Winnie the Poo Bear is my favorite. Pooh makes me so happy. His logic is always so si ple but so loving and wises at the same time. I gre up watching the russian version and a few months ago I found my old videos. It was so cute and funny!